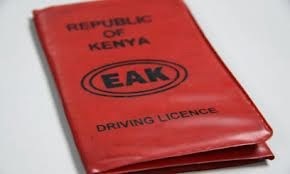 Driving license renewal in Kenya is now as easy as sneezing. You can do it right where you are sitting or standing right now. Yes, you heard right. It is now possible to Renew Driving License Online. You just need to have registered with the e-Citizen portal. All you need is your ID number, Your mobile phone number and a soft copy of a recent passport photo. Just follow these easy steps. Enter the Reference Number and the Renewal period. The renewal period will determine how much you pay. For 1 year you will pay a total of Ksh. 650 and Ksh 1450 for 3 years. Confirm details and pay using one of the available payment options. Congratulations. You just completed the renewal of your driving license in Kenya successfully. Learn how to apply for the certificate of good conduct in this post. Kindly contact the e-citizen portal. What is the paybill number. Am experiencing the same challenges……Whats the paybill number, and why does it keep saying no record found on server? I am visitor/consultant in Kenya, I have my old licence which needs to be renewed, i dont have E citizen profile, is there any ways that i can renew it manually ?? I mean from Traffic office ?? ?